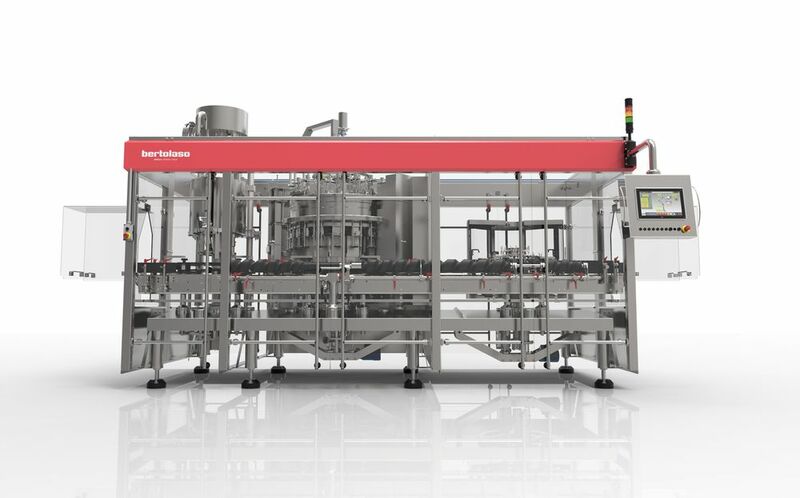 Bottling solutions for beer by Gruppo Bertolaso are automatic machines designed for air blowing, counter-pressure filling, and capping of bottles with quality beer. An air blower or rinser, a rotary filler, and a crowner and/or a corker compose the typical monoblock structure. The machine can be fully customized in configuration (types of modules included) and size (number of filling valves). Each module is also available as a stand-alone machine. Bottle inner cleaning is performed by either air blowing or filtered water rinsing. The filler embeds double pre-evacuation, self-levelling, and gentle snifting for fast foam-free filling while preserving product integrity. Capping is completed by a crowner or a corker with wire-hooder (or both). Other capper types are available upon request (twist off, ring crown). The machines are offered with electro-pneumatic or mechanical technology. The first ensures accurate machine setting, easier size change-over, higher operational flexibility and performance. The latter assures solid performance in a cost effective solution. Bertolaso’s long experience in bottling allows for an extremely effective design of our filling valves. They fill both sparkling and still products with an accurate and repetitive cycle, embedded level adjustment, ease of inner cleaning and superior performance.